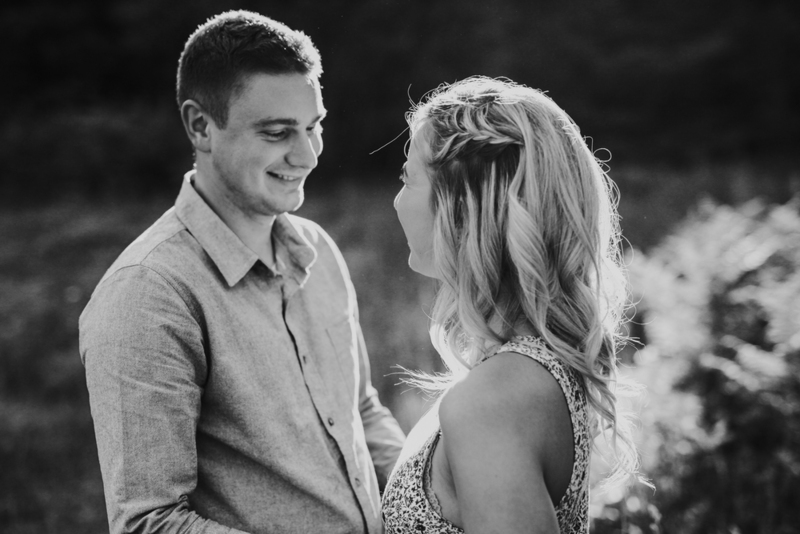 Shelby and Spencer's engagement session last weekend turned out so dreamy! After a torrential downpour on Saturday, Sunday opened up into a beautiful sunny evening with light that was such a treat to photograph. We explored a few different regions of Campbell Valley Park and found dramatic and different light everywhere - sometimes it was a bit darker and sometimes it was flooding in, and it made for some really beautiful photographs. These two are so in love - it's absolutely adorable. The cuddling, kissing, hugging, it just didn't end and they made my job so easy. Their photos turned out so relaxed and natural because of this! I love it when clients sink away into enjoying each other and let me just witness and capture their love as-is! When I gave them a compliment about how cute they were, and got them to remind me how long they've been together for they said "we've been together 7 years, and it's always been like this!" - okay okay, cue the tears!! Their wedding at the end of the month is sure to be such a joyful celebration and I can't wait to be there to capture it all. Getting to know them better on this evening was so amazing and really special to witness their excitement surrounding *finally* getting married and starting their lives together... So without further ado - enjoy the photos! I have so so many favourites from this session but the one above definitely wins in my books!